The staff of the Booster Redux reporting on the appointment of the new principal for Pittsburg (Kansas) High School took an unexpected turn when it delved into the candidate’s credentials. Numerous discrepancies were uncovered by the students that had gone unchecked by the school district’s administration. In the wake of the students’ investigation, the new principal resigned. The administration and Pittsburg School Board hired a consultant to better screen applicants. The story was picked up by a host of national media. The judges for the Journalism Education Association’s Student Journalist Impact Award also felt that special recognition should be given for the reporting by the staffs of the Eagle Eye newspaper and Aerie yearbook at Marjory Stoneman Douglas High School in Parkland, Florida, following the deaths of 17 students and staff at the school in February. 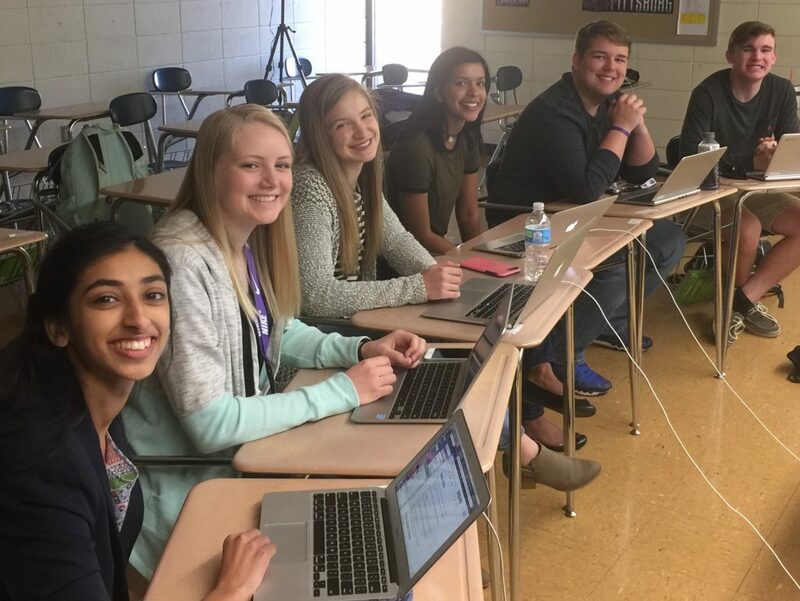 MSDHS students have launched a national discussion on gun control, school safety and the political influence of the National Rifle Association. The staff of the Booster Redux student newspaper is the 20th recipient of this award. The JEA Student Journalist Impact Award was created in 1993 to recognize a secondary school student or team of students who, through the study and practice of journalism, have made a significant difference in their own lives, the lives of others, the school they attend and/or the community in which they reside. The Impact Award recognizes student writing that brings issues to the forefront and from the walls of the high school to the world at large. The award will be presented April 14 at the JEA/NSPA Spring National High School Journalism Convention at the Marriott Marquis Hotel in San Francisco.